The yard for this traditional brick house is tragically small. But not so small that a professional landscaper can’t transform it into a garden. And that’s exactly what these clients asked us to do. 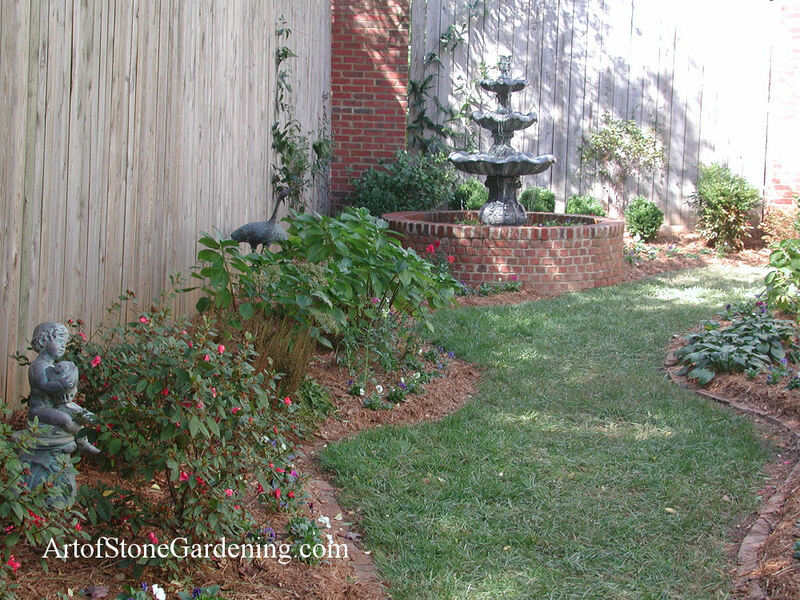 We installed the fountain and pond to act as the centerpiece and tie the garden together. We also installed a patio, some steps, and a small pathway. Then we freshened up the beds with some new plants. The end result is a compact garden that isn’t over crowded, leaving the homeowners plenty of space to enjoy the outdoors.